And we have the inside scoop where! (SPOT.ph) Just in case you missed it, Magnum recently launched two new Infinity flavors—Chocolate Caramel and Chocolate Raspberry—and they want you to get first dibs on their new variants this weekend! In line with this, Magnum has created the Infinity Hunt--an online mobile experience that reveals the locations of the on-ground locations of the Magnum Infinity Experience and gives you a digital e-ticket to experience the booth. To join, go to www.infinityexperience.com.ph, finish the journey, and share the e-ticket on Facebook. 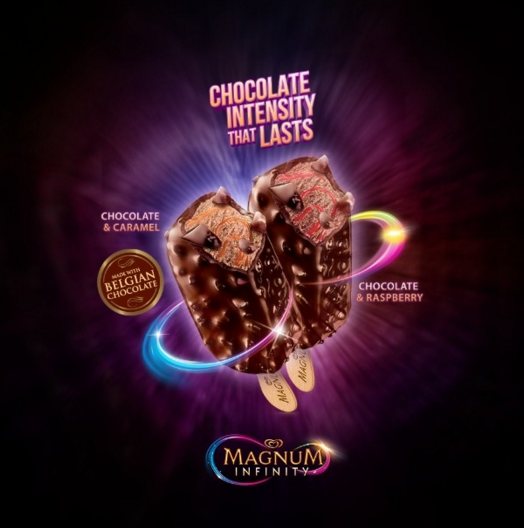 The first 200 per site to show their shared posts on May 14, 11am will get a free Magnum Infinity bar of their choice! Participants will also have access to the Magnum Infinity Room (an infinity mirror installation) and a chance to win a smartphone. And as promised, here's an inside scoop on the secret locations: Alabang Town Center Ayala Fairview Terraces, Eastwood, Glorietta 4, Robinsons Ermita, SM Mall of Asia, SM North EDSA, SM Southmall, Trinoma, and UP Town Center. You're welcome! Don't miss your chance to try the most intense Chocolate Magnum yet! Follow Magnum Philippines on Facebook to know more. This article was created by Summit Storylabs in partnership with Magnum.